Motorola Phone Tools - Create unlimited possibilities by synchronizing cell phone with PC. Free Parental Control - Detects and removes explicit adult material. WordWeb - Free one-click English thesaurus and dictionary. YouTube Downloader - A YouTube video download tool & YouTube to iPod converter. FrostWire - A free peer-to-peer file sharing program for the Gnutella and BitTorrent protocols. ObjectDock - Organize shortcuts, programs & running tasks into an attractive animated Dock. TuneUp Utilities - Solve PC problems and optimize the performance of your PC. StuffIt Expander for Mac - Can easily expands & decodes the files download from the Web or email. Apple QuickTime - An AVI codec to identify the AVI codec used by AVI video files. Adobe Acrobat Pro for Mac - Communicate & collaborate securely using PDF files for Mac. FLAC2CD Burner - Rip CD to FLAC file files based on .Cue file then burn FLAC to CD. FreeRip MP3 - Extract audio CD tracks and save them to WMA, MP3, Ogg, Wav, or FLAC audio. AVG Free - Protect your computer from viruses and malicious programs. MediaMonkey - An easy-to-use music manager for serious music collectors. ManyCam Virtual Webcam - Use webcam with multiple applications & add graphics to it. VDownloader - can search,download and convert videos from Youtube,Google, etc.. Foxit Reader for Windows Mobile - a PDF reader application for a variety of mobile devices. Driver Checker - Smartly update, backup, restore & manage Windows Drivers. Free FLV Converter - An easy-to-use FLV video converter convert FLV videos to all video formats. Tutu FLAC MP3 Converter - A versatile FLAC to MP3 converter. Desktop Calendar - Adds a calendar and to-do-list to your computer's desktop. Smart Defrag - Helps to defragment the hard drives more efficiently than other similar products. Game XP - extends your system to match your gaming needs and makes Windows faster. CursorFX - A program lets you use & create incredibly cool looking Windows mouse cursors. Paint.NET - Free image and photo editing software for computers that run Windows. FastStone Image Viewer - A fast, stable, user-friendly image browser, converter and editor. Vuze for Mac - Vuze for Mac is cool Mac media player to play high-res digital videos on Mac OS. An original equation mailer allows you to create mail messages including mathematical equations, and the scientific equation editor complex scientific equations at almost the same speed as typing standard text. A powerful backup tool which can backup all your emails, Eudora messages and settings into an archive file. It is very easy to use, you don't need waste your time to learn how to use it, just few clicks will backup all your email data into an archive. Accurate and easy to use software guitar tuner, that works in a similar way to a digital pocket tuner that you would find in a music shop. This tuner supports Asio v2 and has an audio monitor built in to make tuning easier. A fast, easy to use, intuitive CD and DVD labeler for Mac OS X lets you make great-looking labels for CDs and DVDs. With a great art gallery includes clip art images, background images & layouts, you are able to create professional-looking labels with several clicks. A unique program for online and offline real-time voice alteration. Featuring combined advanced Pitch and Timbre shifting algorithms, it allows you to instantly change the input voice into hundreds of new male or female voices for fun, education, and private use. The most powerful YouTube downloader and YouTube video converter software which can easily save FLV videos from YouTube to play on your mobile phone, iPod, PSP, Apple TV, Zune, iPhone etc. directly. A professional XML sitemap generator program automatically generate XML sitemaps for your websites, keep up-to-date, edit them, upload to web server and submit to all search engines that support XML sitemaps (Google, Yahoo, Ask.com, MSN, Moreover.com). A hip software tool helps you to copy text from some window controls that do not support copy by CTRL+C or from the context menu. Simply drag the "FindTool" icon and hover it on the target text area, then you'll find the text will show in the software's edit control. A one-click wizard-styled software for converting personal photos and music files to a movie which can be supported by iPod. You will need to select only your music, photos and output path for your movie. Up-to-date iPod models are supported! An affordable smart Hotel Reservation program, designed to handle reservations in a very busy situations, it's ideal for Restaurants, Hotels and Guest houses. Hotel Program Vol 1 is reliable, less complicated, affordable Hotel Reservation program. A great tool which allows you to transfer your music and video from iPhone to iPod, iPod to iPhone. 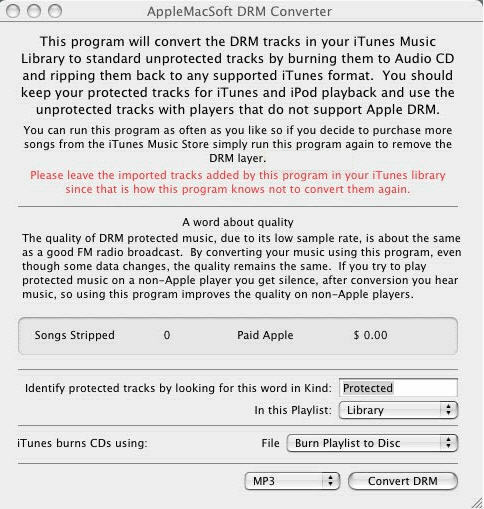 It is easy to end up having duplicate songs on your iPod/iPhone, and tracks these duplications and allows you to remove them in seconds. Downloads and converts MySpace video to the common "avi" format for MySpaceTV is a video sharing website where users can upload, view and share video clips, and MySpace Video allows only viewing video inside client's browser. A Yahoo video downloader which can help you to download video from Yahoo easily with great speed. Also it can convert videos to the AVI format. Yahoo! Video allows you to search millions of videos from across the Web. A flexible and easy-to-use program helps to setup your workplace for comfortable and healthy work and reminds to make pauses during your workday. It uses intellectual algorithms to decide if you really need to make a break. Download your favorite youtube movie from youtube site and convert YouTube to iPhone, Pocket PC, PSP, Zune, mobile phone, iPod, Creative Zen Vision, Archos, iRiver, etc. You may as well schedule the download and conversion tasks to be executed automatically. Helps you to convert your vinyl LP records, audio tapes or cassettes onto CD or to wav or mp3 files. It is designed specifically with records and cassettes in mind and has been developed to make the conversion process as easy and intuitive as possible. Provides fast access to real HD (support 1080p, 720p and 480p high-definition) and easy-handled ripping and converting from DVD to PS3 video formats as MPEG-1, MPEG-2 and MP4 and PSP Video formats. It safeguard your Mac online and offline, detect and eliminate Spyware, protect your Mac and personal Information, selectively Block FLASH Ads, sort and toss Unwelcome Email Attachments, and more.